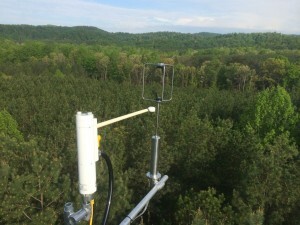 In collaboration with Dr. Quinn Thomas and colleagues at Virginia Tech, this site measures landscape-scale exchange (fluxes) of carbon dioxide, water vapor and energy between the forest and the atmosphere. We contribute to the North American network of similar “flux towers” called AmeriFlux. 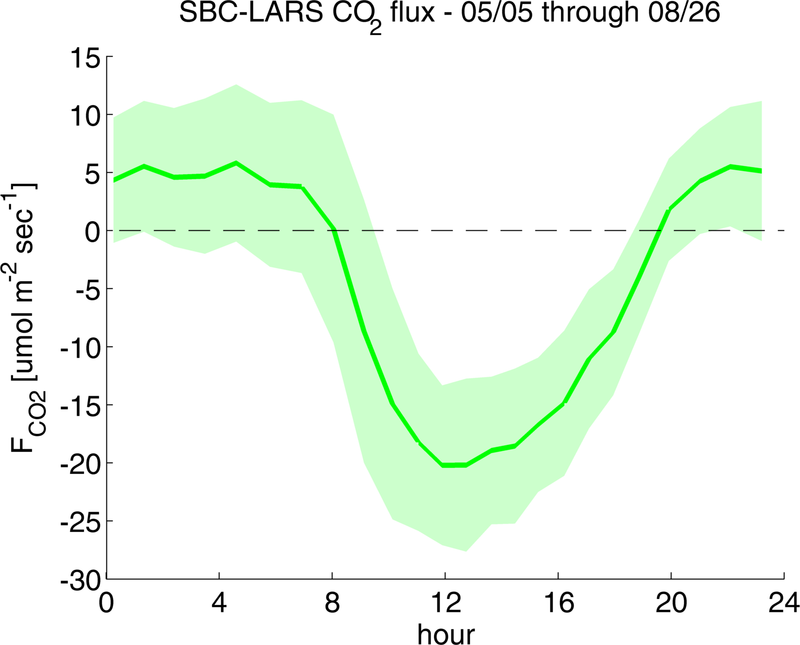 View more information about our site and AmeriFlux here. 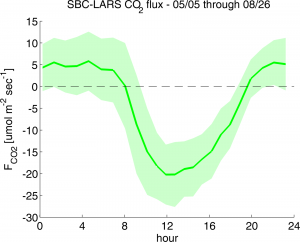 Average daily cycle of CO2 uptake by the forest, as measured from the tower.